AN EARLY SILVER SPICE CONTAINER. Poland, c. 1830. 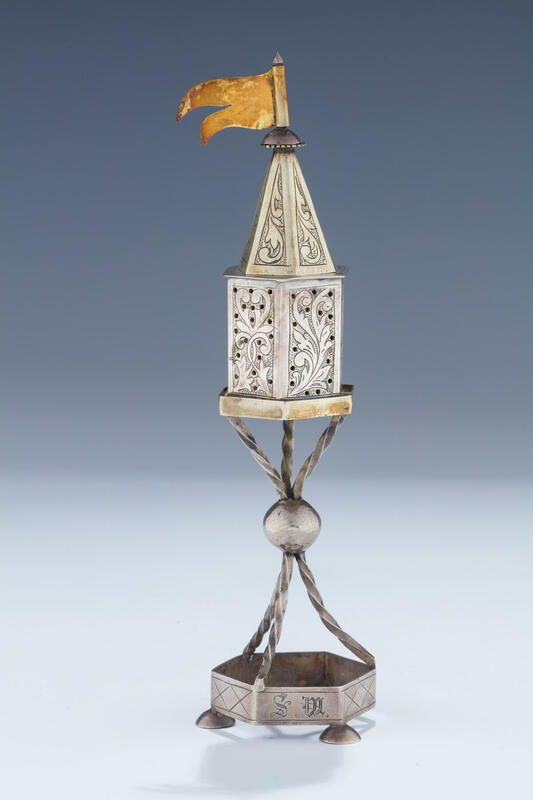 On four cupped feet with solid base engraved with diamond designs.The six sided body held up with three wire supports. 7.5” tall.